Fireplaces are a staple feature of many living rooms around the world. Their cozy appearance adds a relaxing effect to any home and they are certainly well-appreciated during the cold winter months. However, It’s estimated that 31% of house fires are directly caused by fireplaces, chimneys, or other poorly maintained flame fixtures. You must proper safety precautions when using your fireplace. It’s not enough to light a log and hope for the best. Homeowners need to keep on top of fireplace safety tips in order to ensure they have a pleasant burning season without disastrous results. Fortunately, there are easy ways to ensure homeowners won’t see their residences going up in smoke when they start their first fire of the year. Softwood or other unseasoned logs are pieces of wood that have a high moisture content. While they can provide heat at a relatively cheap price, they also come at a very high risk to homeowners. Creosote and soot more rapidly build up when burning softwood logs and over time this can have severe consequences for any home, including chimney fires. It’s therefore important for homeowners to only choose hardwood logs from a reputable provider. This will ensure that soot levels are kept to a minimum as hardwood logs will generally be delivered kiln-dried, which is safest to burn. Even when using the driest of woods, it is still possible for embers to escape the fireplace and these too are very hazardous to homeowners. Fire screens provide a fire-safe barrier that helps prevent embers from escaping the fireplace without taking away from the visual appeal of a fireplace. In fact, there are many different designs for fire screens and homeowners can choose one that compliments their decor. However, it is always wise to ensure that it is rated to provide fire protection rather than being strictly ornamental. Where fire screens aren’t practical, then homeowners should consider it prudent to keep a water-based fire extinguisher close to the solid flames that they’re creating. Should the worst happen, then they will be prepared to respond with the appropriate device. Fireplace cleaning should be as ingrained to home ownership as spring cleaning. Before the beginning of the burning season, homeowners should purchase “cleaning logs” that are available from leading hardware stores. These will release cleaning gases into the chimney that loosen stuck-on debris and soot and mostly fall to the fireplace. These cleaning logs generally provide satisfactory levels of protection but are not a replacement for a regular inspection and cleaning from a qualified chimney sweeper. 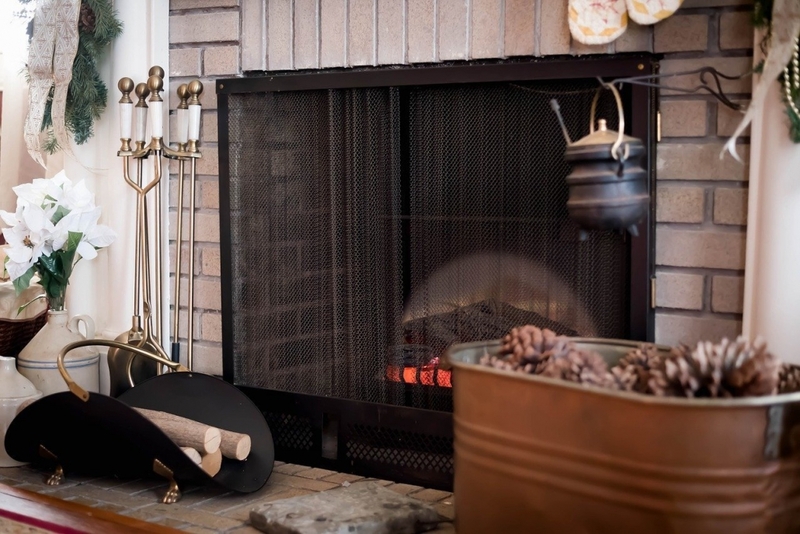 A full chimney sweep should be performed once every five to seven years depending on how frequently the fireplace is used on an annual basis. While there is an obvious potential risk in regard to having open flame in the home, following fire safety protocol can ensure that you and your family stay safe and warm all season long. i wanted to thank you for going over some safety tips for a fireplace. It’s good to know that a fireplace should be cleaned before the burning season. I’m interested to learn if it could be good to clean a fireplace in the spring, early in the year, so that it’s ready completely ready for when it gets colder. What Do I Do After a Major House Flood?